Hon Turnbull gave the confession yesterday, December 5, 2018, during a media engagement with Progressive Virgin Islands Movement (PVIM) Leader, Honourable Ronnie W. Skelton (AL), at Skelton Lots in Fish Bay, Tortola. Speaking to his meeting with Hon Walwyn, prior to his public departure, HonTurnbull said, his request was since he wanted to know what direction the party was taking in future. 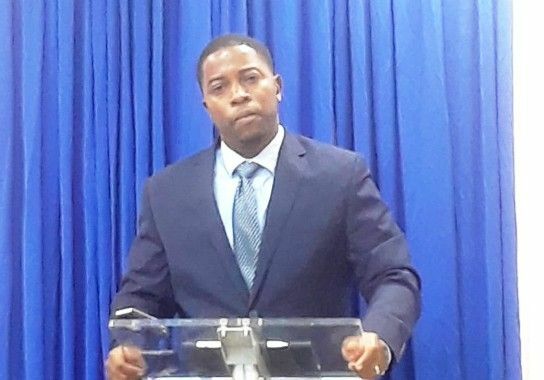 “I made my position clear to the Chairman of the party…If we are to go forward I need to understand how we are going to address the issues” and pointed to examples such as the BVI Airways debacle and the ‘overpriced wall’ around the Elmore Stoutt High School, among others. Hon Turnbull told media operatives that following the election of Hon Walwyn as Chairman and Leader, he continued attending executive meetings, since he was elected as Chaplain. 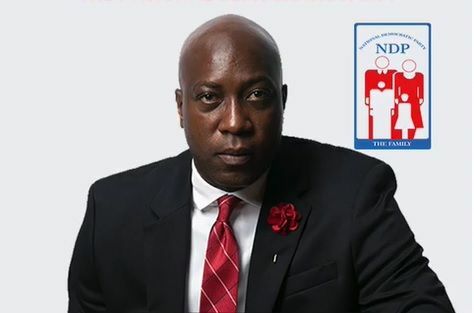 He said however, he declined to put his signature when the letter came from Hon Walwyn, demanding that members sign their allegiance to him, going into General Elections. “I refused to sign the letter,” Hon Turnbull disclosed, but justified his action saying that his concerns were not being addressed by the party’s leadership. These concerns he said, surrounded how things were moving with the government and the changes that would be effected under the new leadership. @Town [pressuming you are from/live in RT] - what did Road Town get for all these years? Sewerage on the streets, neighborhoods and harbours, crumbling roads, lack of street lights want me to go on? It’s not about power and dictatorship in each ministry; rather uplifting the entire country. Being selfless vs. selfish should be the natural order in Government(s). "He said however, he declined to put his signature when the letter came from Hon Walwyn, demanding that members sign their allegiance to him, going into General Elections." OK. Walwyn pulling a Donald Trump move like when the US President asked the FBI Director to be loyal to him. Country above party and self should be the call of the day. What kind of half baked answer is "well will talk". This is NOT effective leadership and team work. You cannot demand free people to be loyal to you if they have issues with you. It's all about power. These people are not humble even though they all claim to be our 'humble servants'. It's all about power for all ah dem. They don't care anything about us. None of them. Once they get elected, the all get to travel on our dime, show off on facebook how they living lavish off the treasury, the ego's get an all time high and screw we the people, while all of them elevate themselves. Minister or minister son the politic and power gone to his head. I want a ministry, promised me that to keep me here or I will bolt. Why would anyone promised such a thing when no one knows what tomorrow will bring? With the tension high and things looking dicey how ign can such things be asked or promised? Come on leave like a boss. Btw if MW is divisive as you say it would be interesting if he kept record of their exchange wouldn't it? What would this flipper say then? This Is the new xpat hater . The new Divider. Who thinks he is the chosen one. Smarter and brighter and must get his way .